Many gathered last night outside the Arab Festival in Garden Grove to protest the festival’s founder’s support of the Assad regime. The founder, who also publishes the openly pro-Assad The Arab World Newspaper, claimed that the festival promotes unity in the Arab-American community. The festival has been a part of the community for 17 years, and it was created to promote unity within the Arabic community, Ahmad Alam said. 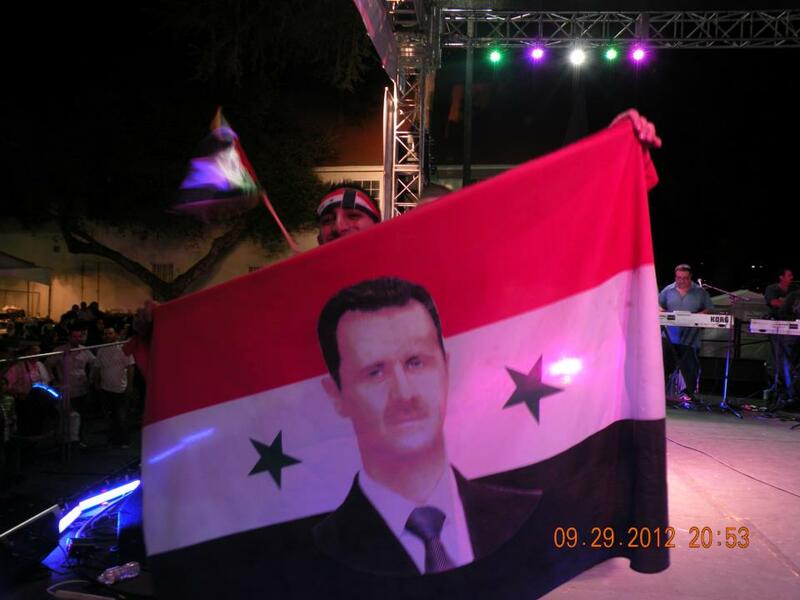 However, on the main stage at the festival last night, a supporter of Syrian dictator Bashar al-Assad was shamelessly waving a flag with his photo on it. Nice gesture to promote unity! Slaves will remain slaves.